Split, Omis, Krka National Park, Kornati National Park, Zadar, Paklenica National Park, Plitvice National Park, Zagreb, and more! Croatia is overflowing with adventure with all of it’s National Parks. 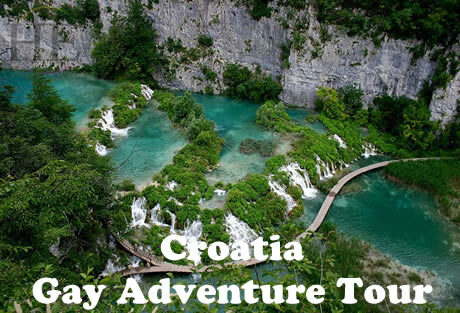 On this gay adventure travel tour, you’ll have the opportunity to hike the beautiful terrain, eat the delicious foods and explore the architecturally rich cities of Croatia. It is a great way to view the country and enjoy a variety of outdoor activities over eleven amazing days. Croatia - Full of Life! 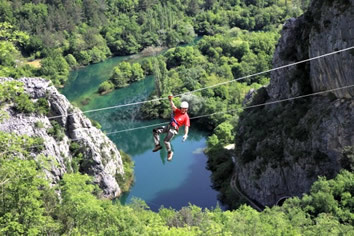 Enjoy the 1700-year-old city of Split and fly high above the beautiful terrain on a Zipline. Take a hike in the Polijcka Republika area and witness the remains of Middle Age communities. 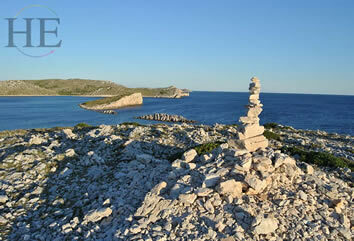 Experience the cool island terrain of Kornati National Park by speedboat. Take a nice casual rafting (or kayaking) trip down the Zrmanja River, witness why it’s known for its crystal clear waters. Prepare yourself for the breathtaking views on our Paklenica hike. Walk the handcrafted wooden paths that wind through the beautiful Plitvice lakes. Hike and enjoy the Baroque architecture in Samobor and experience their famous Kremšnite dessert. Explore the capital city of Zagreb and take in the rich culture. All of this, with amazingly delicious and unique foods to try along the way! 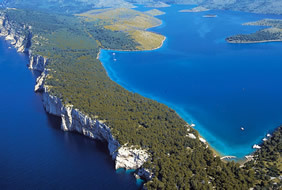 • Hike and Zipline above the beauty of Split! 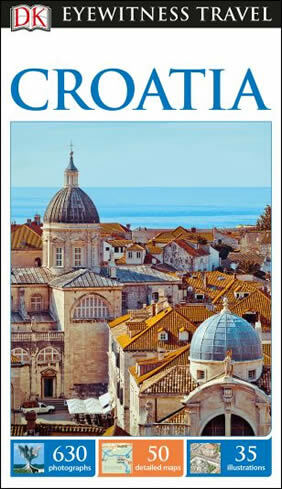 • Experience the rich food and culture of Croatia! • Take a hike through the time in the Polijicka Republika! • Raft (or kayak) the amazing Zrmanja river! • Admire the beautiful views on our Paklenica Hike! • Venture along the wooden paths and bridges of the Plitvice Lakes! • Explore the Samobor Highlands and local architecture! 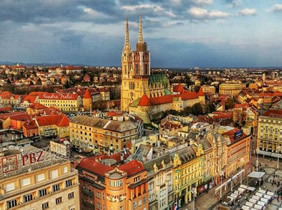 • Lavish in the rich culture of the capital city of Zagreb! Welcome to the city of Split, a 1700-year-old city that’s splitting at the seams with culture. This UNESCO location is stunning with landmarks like The Diocletian’s Palace, Peristil and St. Doimus’s Cathedral. We will have seemingly endless opportunities to experience unique art, and music or sport and recreation. Split is surrounded by the lush Marjan park forest, known to many as the lungs of the city. Tonight we will enjoy a welcome dinner and get to know our travel mates for the next 11 days. After breakfast and a relaxing morning; we will take a transfer to Omis for hours of the most beautiful zip-lining in the country; if not the world. We will be flying high above the canyon and river, for an amazing bird’s eye view. After the adrenaline has worn off, we will have time to freshen up before enjoying an evening guided tour of the Old Town; followed by dinner. Following breakfast, we’ll take off for a moderate hiking adventure. A 40-minute drive will take us to border villages that once divided the Turkish and Venetian empires. The old trail was once populated by an autonomous community that existed in the Middle Ages. The trail winds through nature and sparsely populated hamlets that once served people, trade, transport, outlaws, and livestock. At the end of our trails lies a small abandoned village where we will find a home restored by a local family. We’ll enjoy traditional cooking for lunch and then make our way back to Split! Say goodbye to Split, as today we will travel further up the coast to Krka National Park. Krka National Park is home to the 22nd longest river in Croatia, the Krka River. 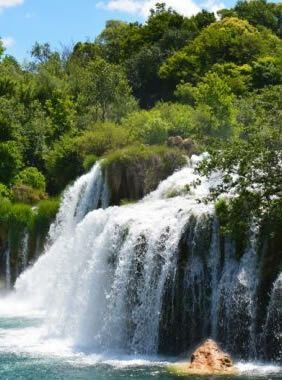 The Krka River has seven waterfalls with a total drop in altitude of 242 meters. We’ll be taking a trail that passes the Roski slap while we make our way to the Skradinski Buk, the biggest waterfall of the seven! We will then conclude the days’ adventures by heading to Sibenik where will enjoy dinner with a view of the spectacular St. James Cathedral; which has been on the UNESCO World Heritage List since 2000. After breakfast, we prepare for a day of beauty and speed in Kornati National Park. Bring your suit today for some amazing snorkeling as we head out on an unforgettable cruise through a breathtaking archipelago of 89 uninhabited islands, islet and reefs. We will cruise beneath high vertical cliffs, some that tower 80 meters above the sea. We’ll experience a truly extraordinary landscape, numerous bay, clear waters. It is not uncommon to see gulls gliding on the wind, sea turtles or a pod of playful dolphins. We will have lunch at a small restaurant where we will get to enjoy freshly caught seafood, prepared traditionally! Today we move our adventure North. We will say goodbye to Sibenik and take an hour drive to the Zrmanja River for a rafting (or kayaking) adventure. Since the Zrmanja River is tame and safe, we will have the opportunity to take in the spectacular scenery. Because of its clear waters, canyon scenery, and majestic waterfalls, Zrmanja is considered one of the most beautiful rivers in the world. Don’t be surprised to find a variety of fish and birds. The river trip will take about 4 hours and then we will enjoy a lunch in a traditional agro-tourism location. Today we depart Zadar in all-terrain vehicles and head up to the Veliko Rujno plateau. This will be a 60-minute drive where we’ll be taking periodic breaks to gaze out onto the breathtaking sights of Zadar archipelago and hinterland. Then we will begin hiking through the areas of Veliko and Malo Rujno. Along the way we will see unique summer homes both old and new, that will reveal the passage of time. The church along the way, Our Lady of Assumptions, is greatly admired by the locals. We will have a 2-hour walk uphill as we continue our hike towards Paklenica National Park which will bring us to Strazbenica; one of the most beautiful viewpoints of Paklenica Pinus Nigra. Lunch will be served in a mountain hut along the way, and then it is time for the downhill journey; which is a lovely 2.5-hour hike. Before heading to Velika Paklenica Gorge, we’ll take a break for refreshments, then move onward along the Velika Paklenica Creek. Bringing us to a point where we will descend through the impressive gorge and after 6-7 hours and a lovely day; we will enjoy an evening at leisure. Zagreb, the capital fo Croatia will be our final destination today. 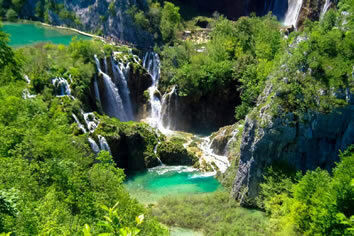 Along the drive, we will stop and take a break at Plitvice National Park. Here we will take a day hike along wooden paths and bridges around the Plitvice Lakes. 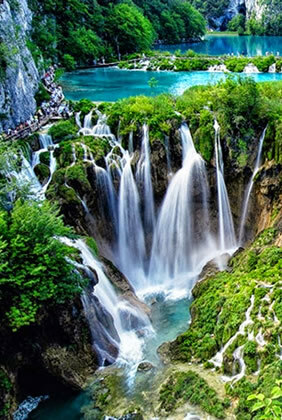 This is a UNESCO World Heritage Site and we’ll be able to see more than 90 waterfalls, numerous caves along the exquisite series of 16 emerald green and blue travertine lakes. At the end lies a panoramic boat and train ride, ready to take us back to the start. We will then head to Zagreb, stopping for lunch along the way, where we’ll take in the exquisite scents and flavors of local Lika cuisine. Tonight we are free for an evening of exploring the city. Today we set off toward the town of Samobor, where we will enjoy a leisurely hike less than an hours drive from Zagreb. The Zumbeaka and Samobor Highland Nature Park stretches over the hilly slopes of the Zumberak Mountain. 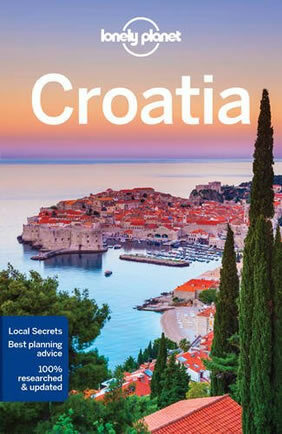 The large variety of hiking trails attracts hikers, climbers and nature enthusiasts from central Croatia. Once we arrive back in Zagreb you will have time to explore, relax or try some of the wonderful restaurants that caught your interest. Following breakfast we’ll have a guided tour of the Old Town, so you don’t miss any of the exciting sights. The rest of the day will be at your leisure, you will have the opportunity to explore the city until your heart’s content. Later on, we will have a farewell dinner at one of the city’s most delicious restaurants. Today we have breakfast then check out of the hotel. There will be two departures from the Zagreb airport depending on your schedule. • HE Travel provides complimentary Medical & Evacuation Insurance for every US Resident on our group tours who do not have other coverage. • Personal items including alcoholic beverages, snacks, laundry, and telephone calls. This tour begins in Split, Croatia, and ends in the capital city of Zagreb. The main daily activities involve hiking, snorkeling, kayaking, zip-lining and walking around town on guided tours. Most of our trips draw more single travelers than couples. When couples do join us, it’s usually because they’re looking forward to interacting with a gay group; if they wanted a holiday by themselves, they wouldn’t have signed up to travel with us. Furthermore, the activities included with our trips serve as natural ice-breakers. Within a day, you’ll be traveling with friends. You don’t need to pay the single supplement if you’re traveling alone. We’ll be happy to match you with a roommate. Pay the single supplement only if you want a bedroom to yourself. We will be staying at four different hotels along the way. We have selected boutique hotels which have great locations in each city.